Spent considerable amount of time in ORD last week.. mostly in transit, as it is the main for both American (AA) & United(UA) Airlines. 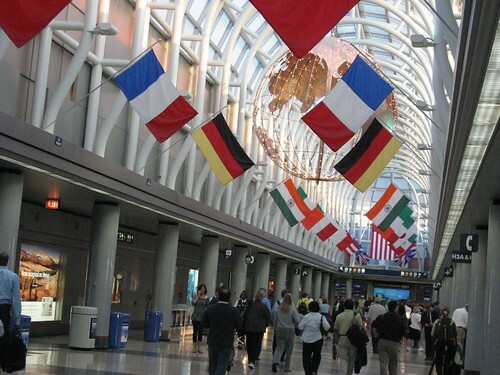 ORD is one of the busiest Airports in the world and can pretty much go direct to many places. 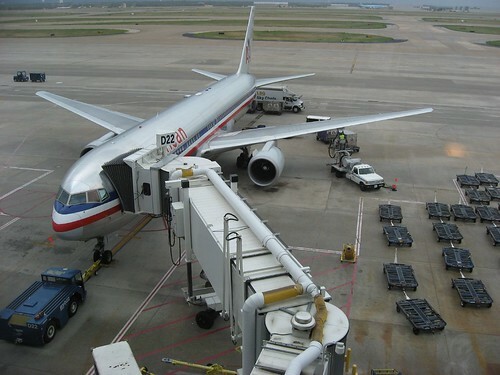 AA has a daily non-stop flight from here to Delhi, which has become quite popular with my US colleagues. 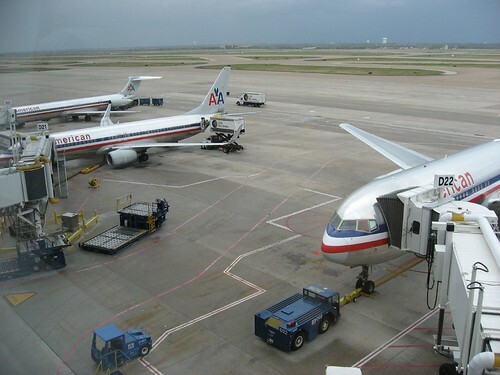 Some shots of the DFW Airport, While I was waiting for my Lufthansa flight back to Chennai via Frankfurt. Reminds me of the first time I descended into the tarmac of MSP, my first experience to the aviation chaos that cripples most of North America's airports. I was simply flabbergasted at the number of little red and green Northwest birds - somehow reminded me Chennai Central with its million yellow auto rickshaws zig zagging all over the place. Nowadays I simply head to this location. (Bird's eye view recommended). But nothing can ever beat that first ever sight of those ramrod straight strips of concrete, in the midst of the roaring engines and thousands of people scurrying like little termites out of the woodwork.